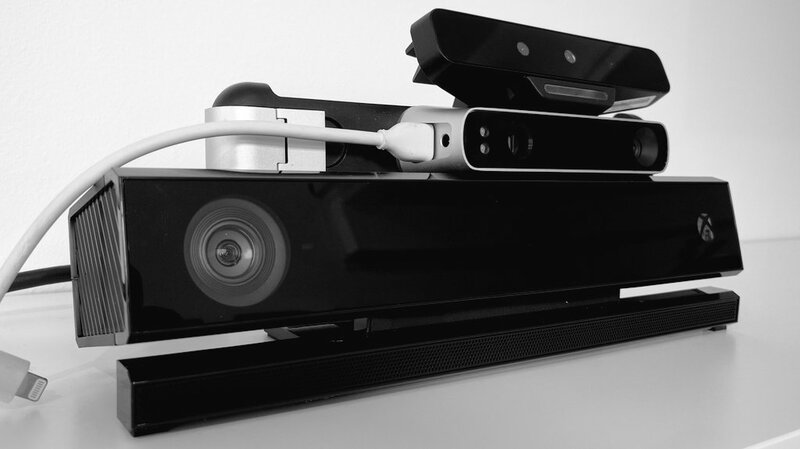 Microsoft has decided to stop producing its Kinect Depth Sensor, according to an exclusive report on FastCo Design. With that decision the company is Hitting Refresh on yet another product that didn’t receive mass traction. The Kinect, especially the original 360 model, is not just a device that is used for Xbox owners to play motion-activated (dance) games but also a very popular device for people to get into 3D scanning at an affordable price point. Kinect was the beginning point of many interesting software solutions for 3D scanning, too, like the Skanect application (Review) that was later acquired by Occipital, manufacturer of the still-available Structure Sensor (Review). While I never tested the original Kinect 360, I did write a Mini-Review of the Kinect V2 for Xbox One / Windows without much enthusiasm about the results I got. So I think it’s a good decision and maybe it helps Microsoft to speed up the development of that very promising mobile 3D Capture app. Now that it’s no longer in production and stock will probably run out after a few months, what are the alternatives for 3D scanning with a budget-friendly depth sensor? The Creative BlasterX Senz3D is essentially the commercial version of the Intel RealSense SR300 Depth Sensor that’s also inside the 3D Systems Sense 2 (Review) — and it’s a lot cheaper. A great sensor for close range 3D scanning that has a full HD sensor for good texture capture if you have the right light setup. Keep in mind though that the cheaper Creative device has been reported not to work with 3D Systems great Sense For RealSense software (mine does, but several readers reported serial-number rejections of the Creative device). It does work with the more professional RecFusion Software ($99) that I will review soon. The Structure Sensor (Review) can be attached to a compatible iPad for scanning color and geometry with mobile apps like the excellent itSeez3D (Review) or be used to stream to a PC or Mac running the aforementioned Skanect (Review). You can also buy a USB hacker cable to connect it directly to a computer but then it only scans geometry without color. The Structure Sensor is OpenNI 2 compatible. The Orbbec Astra might be lesser know than the devices above but it might be the closest thing to Kinect when it comes to versatility. Firstly, it comes in 3 flavors: The Astra is for long-range (0.6 – 8.0m / optimal 0.6 – 5.0m) scanning (much like Kinect) with VGA color resolution and the Astra Pro has the same range but with 720p HD color support. The Astra S is the short-range (0.4 – 2m) version comparable to the RealSense SR300, but only with VGA color (Kinect 360 also had VGA color but the Kinect V2 had HD color). All Orbbec Sensors are OpenNI 2 compatible and there are SDKs for Linux and Android available. Hoping this post was helpful for you. If it was and you think it’s also helpful for your friends and followers, I’d appreciatie it if you share it on your favorite social network. I receive a small fee from Amazon if you buy one of these sensors through the links above which I use to keep this site free and filled with content! I need to apture and analyze movement hip to top of head from 2-4 feet away. skeleton tracking and using wpf/c#. I developed a gesture-based medical image viewer for 100% hands-free use by surgeons during surgical procedures using Review of the Kinect V2 for Xbox One / Windows and it performed flawlessly, exceeding expectations. This was a challenging app because anything less than 100% was as useless as 0% given that surgeons cannot touch a mouse or keyboard during a surgical procedure. The Human Interface Guidelines accompanying the V2 SDK is very clear in advising against attempting to repurpose a desktop app for use with gestures. It is a very different kind of app with a different look and feel. Oversized, hideaway controls and other techniques are needed to accomplish function equivalent to the desktop application using mouse and keyboard. The ability to record discrete and continuous gestures was very useful. Regrettably this app was completed a week before Microsoft announced halt of Kinect manufacturing. Your article was timely and useful. Then Leap Motion controller was every bit as unwieldy as described in this article described but that feedback might be different had the app not been a stock desktop one requiring fine motor coordination afforded by mouse. Leap Motion controller operating area didn’t map to entire screen and that was bothersome so it’s time to dive into the Intel Real Sense cameras and related software. I just hope the software is advanced at the Kinect SDK V2 was.